These are the very best in British Fishing Alarms, Carp Alarms and Bite Alarms for sale. We also sell cheap bite alarms, bait alarms and cheap carp fishing alarms for anglers on a budget. If you are looking for a fishing alarm, look no further! Compare Delkims Tx-i Plus , Standard Plus and Ev Plus Alarms together and decide which one is going to be the one for you. This set includes 4 EV Plus Alarms consisting of 1 x Blue LED Alarm, 1 x Green LED Alarm, 1 x Yellow LED Alarm & 1 x White LED Alarm. This set includes 4 Tx-i Plus Alarms consisting of 1 x Red LED Alarm, 1 x Green LED Alarm 1 x Yellow LED Alarm and 1 x Blue LED Alarm. 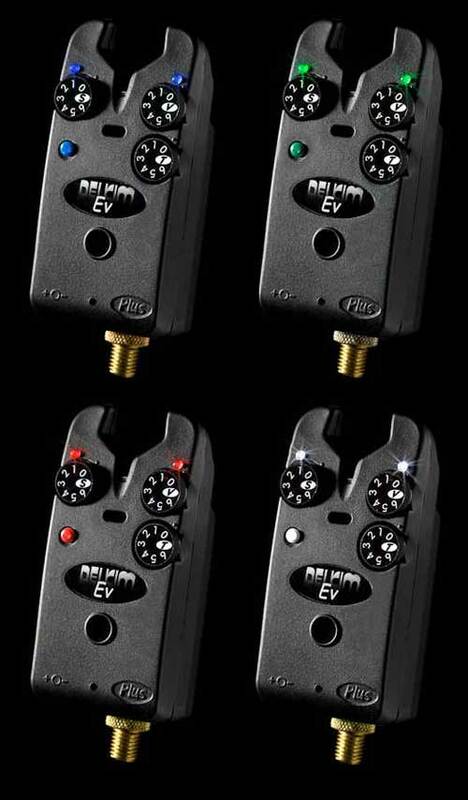 Rx Plus Pro Mini Receiver Included. 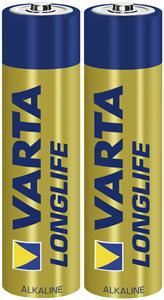 Recommended Super Alkaline Transmitter Batteries for V2 ATTx systems and accessories. Batteries can be expected to last for up to approximately 1 season of normal use. 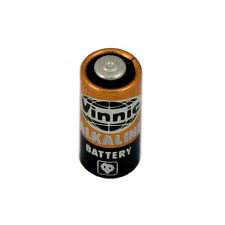 Recommended Super Alkaline Battery for Gardner TLB Alarms. 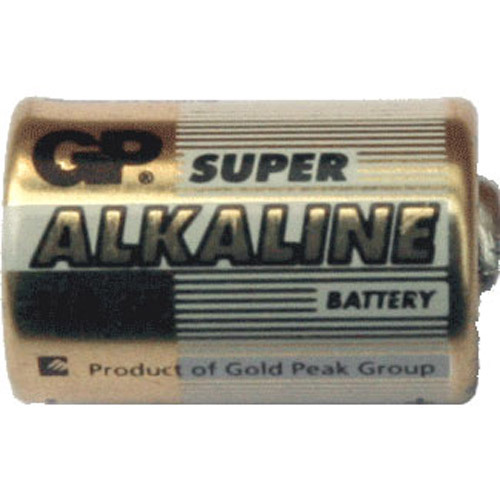 Recommended Super Alkaline Batteries for the ATTs Silent Alarm. 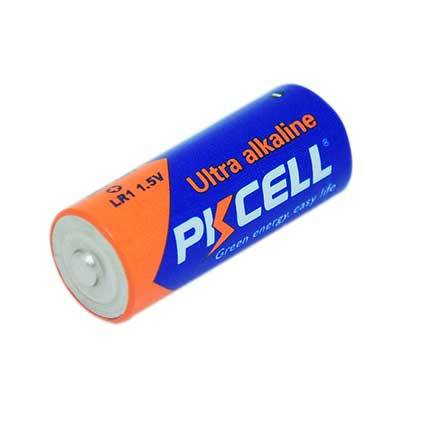 Recommended Super Alkaline Receiver Batteries for V2 ATTx systems and accessories. The Battery can be expected to last for up to approximately 6 months of normal use. 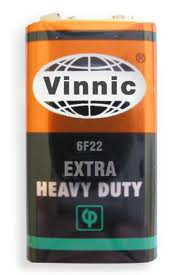 1.5v Alkaline batteries for Fox alarms and other electronic equipment using an LR1 battery. The Delkim 'Black Box' is a new carry case specifically designed for the safe storage and transportation of Delkim products. It is ideal for those using the D-Lok quick release system and is a great way to keep your alarms safe and protected. 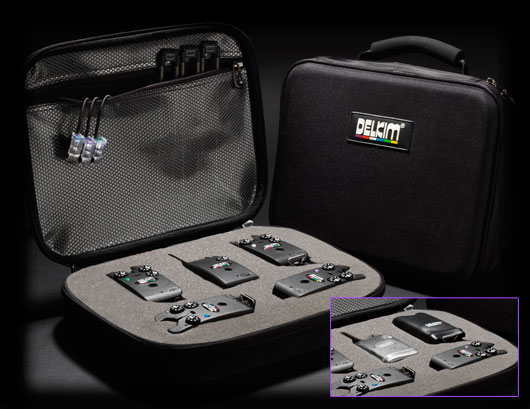 With space for up to four alarms and a receiver, there is also room for all your accessories in the neat zip pocket. 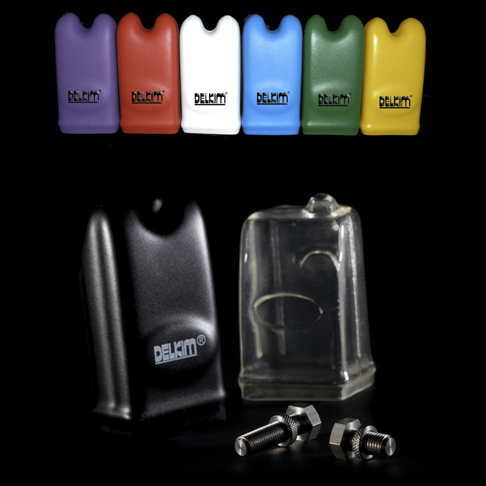 All Delkim alarms and receivers can be stored with or without their protective hard cases. The Delkim D-Lok is a revolutionary new dedicated quick release system that fits any Delkim bite alarm and allows instant attachment to any rod pod, bar or bank stick, without unscrewing. Dedicated Delkim quick release system. Easy push n'Lok, secure hold. Easy fit to all Delkim models past & present. Note! The Delkim D-Lok quick release system is not compatible with Delkim alarms fitted with Tx2000 or Tx Plus micro transmitters. The D-Lok feet can be purchased separately for users with multiple rod pods or bank sticks. The D-Stak add-on weights have a 2BA thread and can be used with any NiteLite OR with other manufacturers' bobbins if required. They are low profile 5gr individual weights made in blackend stainless steel. Their low height means they can be stacked together easily, to give you the required amount of weight. Two 5g weights together are the same size as one regular 10g weight. Holds up to 4 DuoCarb Pivoting Hanger Supports. It was designed around the concept that the free hanging visual indicator or hanger gives the best overall visual indication of a bite but may not be perfect for all situations particularly in very windy conditions. When set up the DuoCarb can be used to instantly support the NiteLite Pro Illuminating Hanger. The extendable twin carbon fibre frame adds only 3g effective weight and supports the hanger perfectly with no sideways movement. When required the DuoCarb can be instantly detached from the NiteLite Pro and allowed to hang down unconnected or it can be quickly removed altogether for storage. 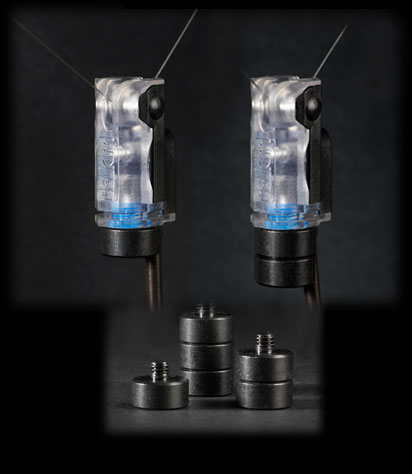 The ES NiteLite Pro and the ES DuoCarb which are designed to be used attached together in all conditions, but still allowing the ES NiteLite Pro to be used as a free hanging bobbin if required. Delkims Ev Plus has been highly successful in bringing affordability to the Delkim Plus Range of electronic bite alarms. It uses exactly the same technology and build quality as the flagship Tx-i Plus but with less functionality and frills. When used in conjunction with the Tx Plus Micro Transmitter and Rx Plus Pro Mini Receiver, the user has the main benefits of the reliable and sophisticated cordless radio system with good range and long battery life expectations. Hardcase & battery available extra.